All your sweet memories stored as pictures on your iPhone are invaluable. We carefully looked at how we can help extract, recover and archive from your iPhone’s backup and came up with an easy to use, 1-click iPhone Photo Recovery software – the Photo Saver. Simply select the backup, and hit Recover to relive your memories. – Keeps the device data safe with zero chance of data loss from the device. 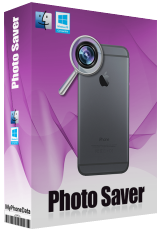 The Photo Saver for iPhone backup recovery will extract iPhone photos. Besides, you also get the ability to upgrade to Total Saver Upgrade so that you get the ability to recover and extracts 8 different types of data in 14 formats. If you are a Mac user please download the installation file here (4.2 MB).